The people of Goa are looking for ways to organize Goa’s growth and future in a manner that does justice to its special cultural and historical distinctiveness. Savoi Veren village near Ponda, which predates Portuguese colonization, is now surrounded by mines. Students interacting with Dean D’Cruz, one of Goa’s most respected architect who is also working on the Goa regional plan. 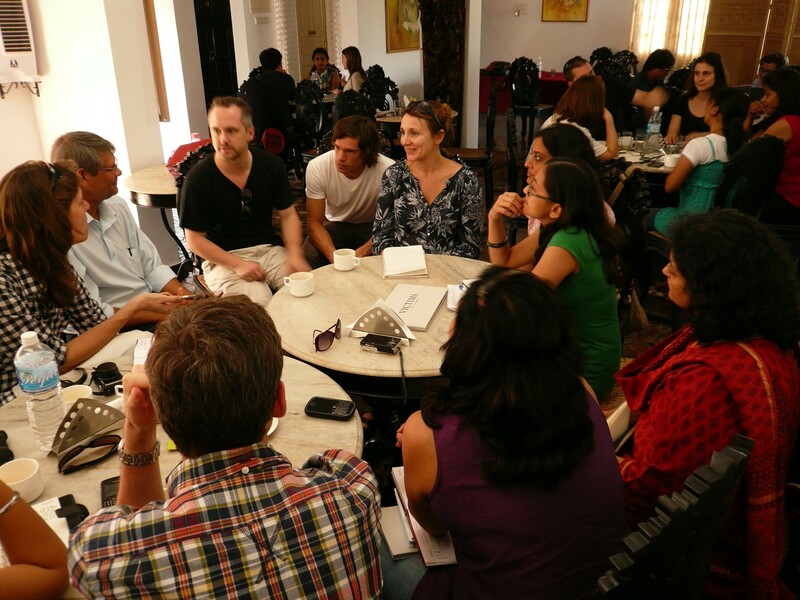 We have been busy looking at Goa’s complex urban system and networks together with a group of graduate landscape architecture students from Sweden. This studio, taking place from Feb 14th to 25th, is part of a year-long programme organized by Henrietta Palmer and Michael Dudley of the Royal Institute of Arts in Stockholm, and the Institute of Urbanology in Goa. The group was also joined by masters students of the Dr. Bhanuben Nanavati College of Architecture for Women (BNCA) based in Pune. Goa, which is the smallest state in India, can be conceptualized as an urban system made of a network of villages and a few bigger towns of max 100,000 people. These are interspersed with fields and forests and each settlement is connected to the others through an intricate web of small roads. As is the case in many Indian cities, large infrastructure projects along with savage real estate speculation and corrupt politics are challenging the unique spatial organization of Goa. 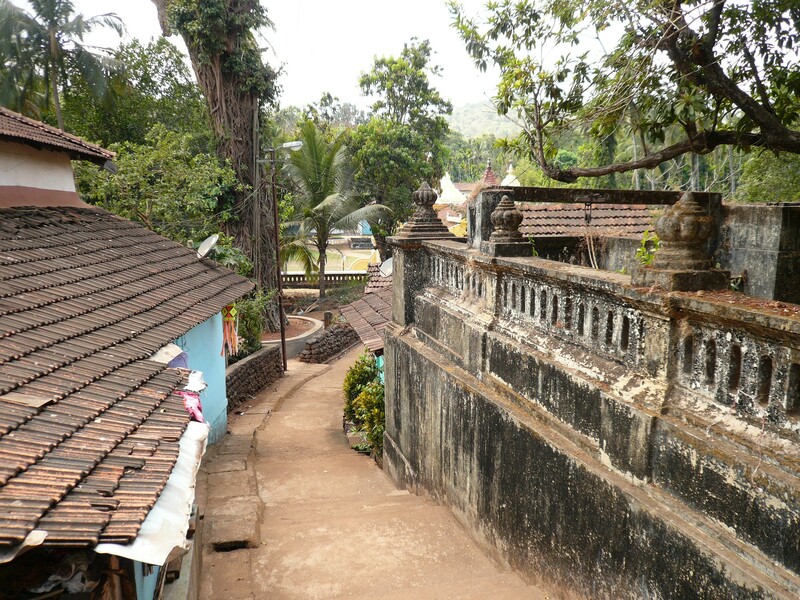 Historically, this spatial logic has been connected to the availability of water sources and river systems which traditionally Goan villages and hamlets were dependent on for their survival. The delicate balance of containing groundwater salinity by blocking rain water flows through intricate water management, of painstaking rain water conservation through dependency on its forests (now being ravaged by mines) and of dependence on wells for water supply are all factors that are miraculously still alive even as one part of Goa gets connected to piped water, roads and bridges. If modern urban societies are concerned with environmental issues then a good look at Goa’s habitats and how they are embedded in its water system becomes something that everyone can learn a lot from. 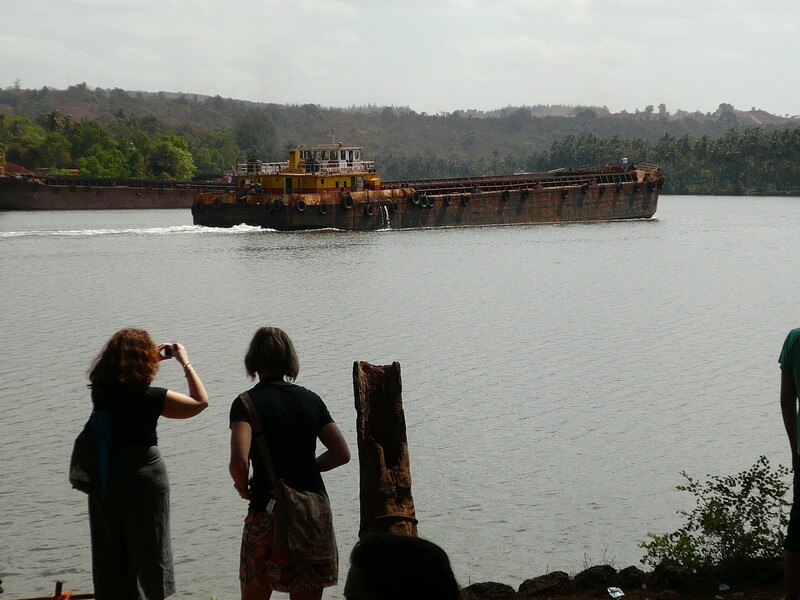 If the new vision that Goa is looking towards for its own growth and future need an anchoring for its regional development plans, then that vision needs to be anchored in its historical spatial logic, arranged through its water ways and systems. Right now, Goa’s system of villages, towns, fields and forests are being super imposed by a planning logic connected to mainstream mechanisms of connectivity and mobility, of real estate development and aspirations. The people of Goa are struggling with the balancing out of all these factors and are looking for ways to organize Goa’s growth and future in a manner that does justice to its special cultural and historical distinctiveness that is intimately tied to its physical, environmental and spatial logic. In a very small way, this group has tried to address some of these issues to the best of its ability. After more than a week of travel, observations, meetings with experts and activists, the group will make a series of presentations that directly or indirectly connects with the idea of Goa’s complex water system as the base of its spatial logic and open the doors for more research in this broad area. Please come to the students’ presentation at Panjim Inn in Fontainhas, Goa, Friday February 25th at 5PM. Click here for more pictures of the studio in Goa. Read more on Goa as an urban network on airoots.